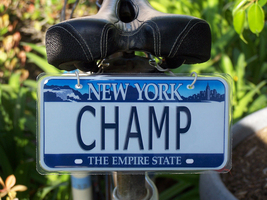 This is a PERSONALIZED STATE BICYCLE license plate. Choose a state, style and inscription then send it to us when you buy. The plate holds 17 characters per line maximum and up to two lines. The novelty plate is a digital image trimmed, printed and bonded to a composite backing and sealed in 10 mil UV plastic laminate. It is not metal, styrene or PVC plastic. 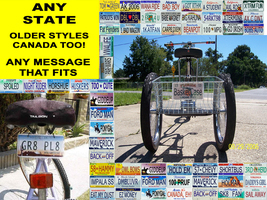 Customers use the plate on tandem bicycles, tricycles and trailers! 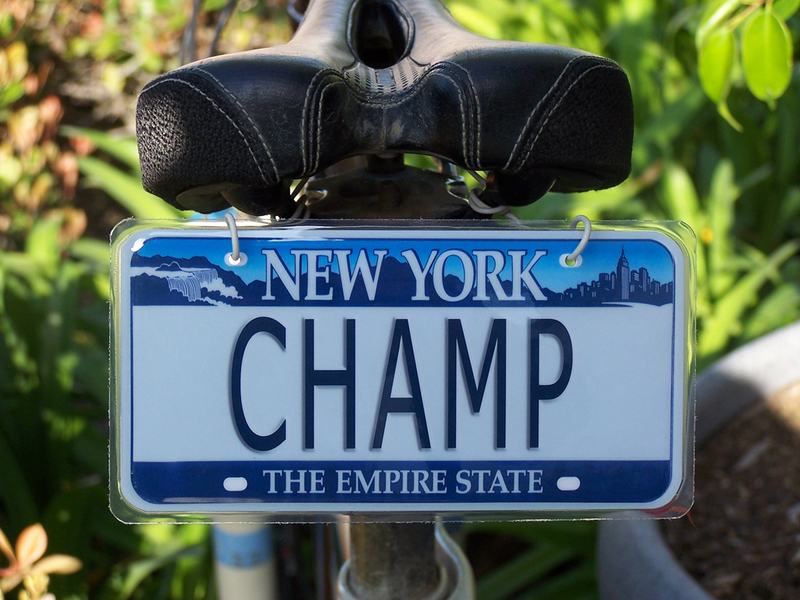 The plate styles are taken from automotive plates and sized to 3 x 6 inches. We can fit 17 characters but they look best with 10 or less. 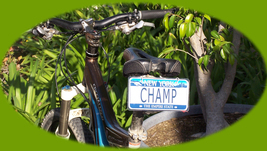 The plate comes with upper mounting holes and easily attaches under the seat or handle bars with zip ties or plastic coated wire. Your custom message is digitally embossed to mimic the effect of raised stamped letters (unless the real style plate had flat lettering). The standard plates are 200 x 400 pixels at 72 dpi and current styles are in HI-DEF at no additional charge. The collage photos represent some of the available plates offered and unless specified by the buyer the plate issued will be a current plate offered in the state you selected.